Select returned at least 1 fd ready for action. An Error Happened, Probably dead socket. Select calls for you to try again. Make this method virtual, so you can override it when a socket is added. 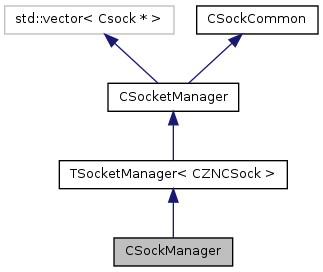 Delete a sock by position in the vector the socket is deleted, the appropriate call backs are peformed and its instance is removed from the manager deleting in a loop can be tricky, be sure you watch your position. Delete a sock by addr its position is looked up the socket is deleted, the appropriate call backs are peformed and its instance is removed from the manager. was not a timeout. Anyways .... Caveat Emptor. Get the bytes read from all sockets current and past. Get the bytes written to all sockets current and past. piRandPort if listener is set to port 0, then a random port is used and this is assigned. Referenced by ListenHost(), and ListenRand(). 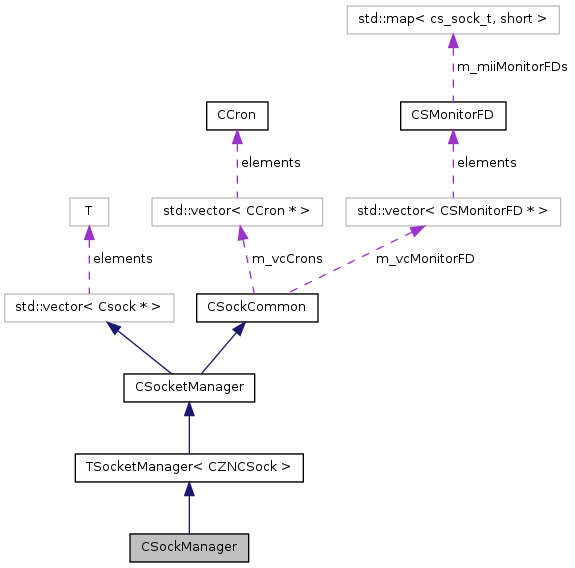 References ADDR_ALL, ADDR_IPV4ONLY, ADDR_IPV6ONLY, CSocketManager::Listen(), CSSockAddr::RAF_ANY, CSSockAddr::RAF_INET, CSSockAddr::RAF_INET6, CSListener::SetAFRequire(), CSListener::SetIsSSL(), CSListener::SetMaxConns(), CSListener::SetSockName(), and CSListener::SetTimeout(). Best place to call this class for running, all the call backs are called. You should through this in your main while loop (long as its not blocking) all the events are called as needed. Set the Select Timeout in MICROSECONDS ( 1000 == 1 millisecond ) Setting this to 0 will cause no timeout to happen, Select() will return instantly.